Lord we thank You for every promise You have given concerning Revival and Awakening in this nation. We praise You for new levels of unity, for the depth of Your word and the sensitivity to Your Spirit which are increasing in our land and we cry out for Your love, Your kindness and Your mercy to be released. We declare as the fire of Your Spirit comes upon us, criticism and judgment will cease, and Your love will be released through Your people in great measure, healing and transforming not only the lives of individuals, but that of families, communities and the world around us. 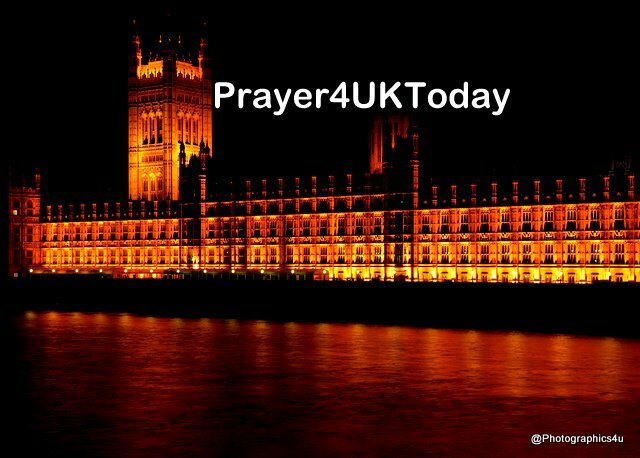 Now, in the Name of Jesus, over every aspect of party unity and leadership, over the Brexit negotiations and the final Brexit Bill, we declare a union of the government of God’s Kingdom purpose and plan, with the government of the United Kingdom, will be established. On the Sunday after 9/11 I was at a service in Westminster Central Hall in London and remember being moved to tears as we cried out for our city and nation. Since then we have seen terrorist attacks in cities around the world including Manchester and London. Jeremiah was calling the Jewish people to pray for the peace and prosperity of the city where they were to be exiled. As Christians with a heavenly home that awaits, we are exiles - strangers and aliens wherever we live. Whether we face acts of terrorism, the increase of gun and knife crime on our streets, or an uncertain political climate, we are called to pray for our city.